Myth, legend and literature are full of tales about people ending up in either Heaven or Hell. However, every now and then a story arises about someone who belongs in neither. Such is the tale of Ivan Turbinca, a story written by the Romanian author Ion Creanga. The story tells of Ivan, a Russian who had served in the army. Once old and retired, he wandered around the world. As Ivan was walking, a short distance away Saint Peter and God descended from Heaven to see how things were going in the world. Seeing Ivan, God decided to test the man’s good nature by sending Saint Peter to pretend he was a beggar. Saint Peter went ahead on the road Ivan was walking and sat down near a bridge. When Ivan got closer, Saint Peter began to beg. Ivan was kind to both Saint Peter and God by giving them all he had earned at the end of his military service. As Ivan left, God decided to reward him. He restored the money, told Ivan about his real identity and asked Ivan to name his reward. Ivan asked God to bless his bag (called “turbinca”) in such a way that anyone could be put inside it without being able to get out unless Ivan wanted it. God blessed the bag and they parted. 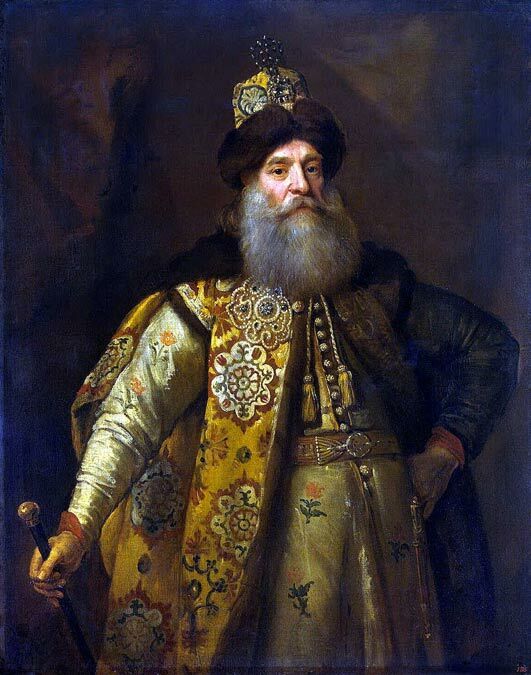 The tale reveals that Ivan kept wandering until he reached the residence of a boyar—a Russian aristocrat. The boyar was not very kind, but ultimately he agreed to offer Ivan shelter. However, he housed the man in a house which at night was haunted by devils. Ivan said his daily prayers and went to bed. As soon as he put out the candle, an invisible hand took his pillow and threw it away. When Ivan went to bed again, he began to hear voices. Understanding the situation, the Russian began to shout: “ Pasol na turbinca!” ("Git into the pouch!") and all the devils from the room got trapped inside the magic bag. Finally, Ivan was able to go to sleep. However, before dawn, Scaraoschi, the leader of the devils, came looking for his subjects. He came inside the room, found Ivan sleeping and slapped him. So Ivan shouted once more: “ Pasol na turbinca!” and the leader of the devils himself got trapped inside the bag. Ivan went outside, woke up the entire household and showed the boyar the bag full of devils. Ivan then scared all the devils away and the boyar was glad to be rid of them. Finally, Ivan decided to go to the gates of Heaven to serve God as he had been asked to do when they had first met. Reaching the gates of Heaven, Ivan knocked. Saint Peter asked him what he wanted and asked whether there were women, singers, tobacco and booze in Heaven. When he received negative replies to his questions, Ivan was disappointed. He left for the gates of Hell where he asked the same questions and got positive replies. Upon opening the doors, the devils recognized Ivan as the man who had tortured them. Frightened, they decide to let him party as much as he pleased hoping he would then leave. Seeing that Ivan was not planning on leaving, a devil began making a lot of noise. Trying to see what was going on, Ivan went out and the devils closed the doors behind him. Seeing that he could no longer get into Hell, Ivan returned to the gates of Heaven. While waiting to be allowed in, Ivan saw Death preparing to enter Heaven. Then, he shouted: “Pasol na turbinca!” and Death was trapped inside his magic bag. Ultimately, Saint Peter opened the gates and Ivan went before God. Ivan had come to take the commands for Death. God told him that Death had to take only old people for three years. Going outside once again, Ivan released Death and told it that it had to claim only old trees for three years. Upset, Death went and did as was told. After the three years were up, when Death returned to the gates of Heaven to go see God and receive new commands, Ivan trapped it again inside the magic bag. Then he entered to see God and get the commands for Death. God ordered Death to claim only young people for three years and then naughty children during the following three years. Ivan returned outside, released Death and told it to take only young trees for three years and then only young bushes for the following three years. Death did as was told and then returned to the gates of Heaven once more. This time, Ivan trapped Death inside the bag and no longer told God about it. He intended to leave Death trapped inside the bag for a very long time. After a while, God came to check on Ivan. He asked about Death, and then Death began speaking from within the bag. God released Death and told Ivan that his time was up and that Death also had a purpose. As God had now taken his magic bag, Ivan asked to be granted three more days to put his affairs in order, to make his coffin, and to sit inside it, ready for Death. God granted his wish and Ivan stood upset, thinking. He considered the fact that he felt he belonged in neither Heaven nor Hell. In Hell he had a bad relationship with the devils who did not want him, and Heaven he found boring without women, tobacco, singers and booze. So, Ivan got an idea. The story goes that he gathered wood and prepared his coffin. As soon as he was done, Death appeared before him. Death asked Ivan to sit in his coffin so it could claim his soul. Ivan sat in the coffin face down. Death told him that is not how it is done. After a number of Ivan’s failed attempts to sit in his coffin, Death ultimately decided to show him how it was done. As soon as Death assumed the proper position in the coffin, Ivan nailed shut the coffin and threw it in the river. Seeing what had happened, God released Death so that it could take its revenge upon Ivan. Death appeared in front of Ivan once more and the man remained speechless. As punishment, Death no longer attempted to claim Ivan’s soul. Instead, Death told him that he would be allowed to live forever and when he eventually begged for the end, still his wish would not be granted. It is said that the old Ivan still lives today, drinking in order to drown his sorrow of eternal life. This is a typical Romanian story in which the devils and Death are comic characters and they are made fools of. Also, this is one of the many tales involving immortals (such as the tale of Koschei the Immortal from Russian folklore) and people or entities who belong in neither Heaven nor Hell. Valda Roric. “Loki – The Trickster Unleashed” 2015. Published by CreateSpace Independent Publishing Platform. Haha, even back then they were thinking the same as we do now! Always thought the heavens sounded a bit boring myself and hell was too dark.